Get now the men's summer gloves model C-12 from Unik in color Black. Wear gloves in your motorcycle like C-12 of summer for men it's very important. They are made with resistant materials that keep protected your hands from hits and rubbings when suffering a fall. 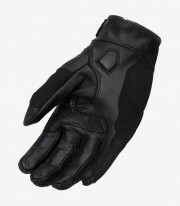 The gloves for summer offer a exceptional protection without suffer on hot days. Their multiple air intakes with the use of ventilated fabric makes that it have a high breathability, perfect to use in the hot summer days. The back is made of Leather and the palm of Leather . Include protections on the knuckles to protect the parts of the hand more likely to get damaged in case of suffer a hit. The palm is reinforced with foam to increase the protection against chafings. 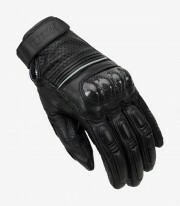 This glove model C-12 of summer for men has the homologation CE - EN 13594:2015.